When we set to produce a video to help introduce Coffee Bean Technology to the market, our initial idea was to create a 3-minute film talking about Technology and its effects in society. But as we started working with Luciana Eguti and Paulo Muppet from Birdo (an internationally recognized and award-winning video studio in Brazil), we shifted towards producing a shorter, animated film using a more universal language. The voice-over is by Megan, daughter of my colleague Graham. Call your children and show it to them. Send links to your friends. Visit the Coffee Bean Technology YouTube channel. This is an extreme hike we are planning for sometime in Fall. This page will update as plans materialize. Shall we put “Social” in front of it? In my quest for a term that had not yet been attached to “Social”, I discovered that Google could find only 7 instances of “Social Marketing Funnel”. Next to about 37 million – and growing by the minute – results for “Social Media”, it seems to be a relatively under-explored concept. While that is true, this is not how I started thinking about the Funnel. Sometimes we need to balance the power of an existing metaphor (like “Files” for digital data or “Funnel” for the process of identifying and nurturing leads into customers) with the need for new models that better represent reality. 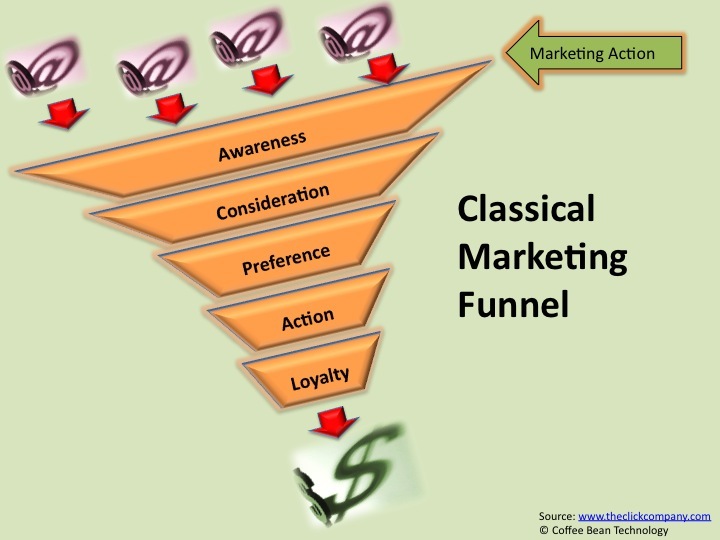 The Classical Marketing Funnel pictured above is straightforward: among all potential buyers in the market, a company needs to nurture them from awareness (know it exists) to consideration (think of it as viable supplier) to preference (consider it the most adequate) to action (decision to buy) to loyalty (experience value and remain a long-term customer). The mission of Marketing is to recruit new leads through marketing actions, and then nurture them and hand them off to Sales. Others have discussed fundamental changes in the model caused by the transition to social media (most notably, Brian Haven from Forrester Research in 2007) but, with the benefit of 3 years of hindsight, I believe the funnel model is still valid and useful to visualize the marketing/sales process and we can keep the baby from going with the bath water. But some adaptations are needed. Lets look at the Social Marketing Funnel. While the basic model can stay the same, some of marketing terminology needs to change to remain meaningful. Referring to potential customers as “suspects” or having accounts that are “owned” by a sales person is out. Thinking about customers as people rather than a name in a list and treating them as such is in. People move through the funnel and decide to stay or to get out. When it comes to execution, in the classical media, the “nurturing” process often ends up consisting of a mix of not-always-welcome broadcasts (e-mail blasts, newsletters, ”educational” white papers, webinars, etc). Because there is not much listening going on, those communications are more or less indiscriminate. In social media, the funnel is not an opt-in e-mail list but the group of “followers” in the several venues (company web site, online communities, twitter, etc). Companies need to listen first, and then dispense communication that resonates with the audience. Social Media let companies communicate more often without being intrusive because social channels and controlled by recipient-discretion. If isolating and segmenting customers was the norm before, that is no longer the case. Customers are going to talk to each other whether or not the companies provide the venues, so you better join them in the conversation. Marketing action focuses on providing a resonance chamber for customer advocacy, rather than only recruit new leads to fill the top of the funnel. When Marketing thought of customer life cycle, it aimed for Loyalty among long-term customers as the ultimate goal. Social Media adds another dimension to the influence of customers: their social graph. Loyal customers do more than provide repeat revenues, they become your main recruiting resource to feed the funnel with other potential customers who value their opinions. 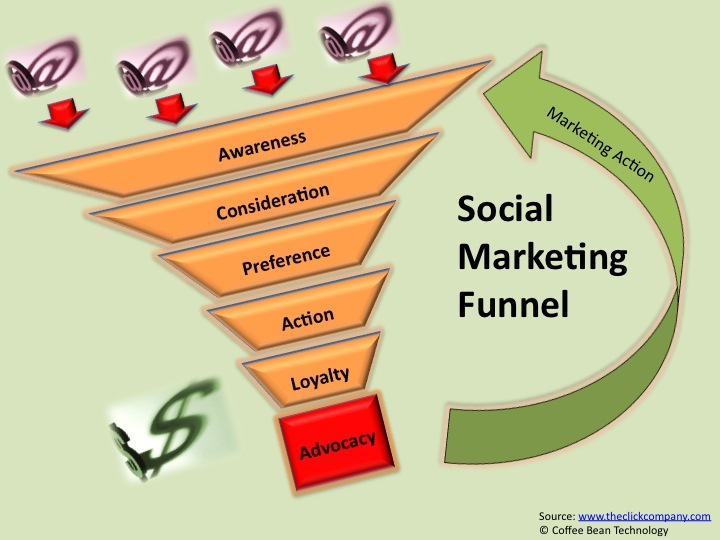 The Social Marketing Funnel goes further and hopes to cultivate Advocacy. 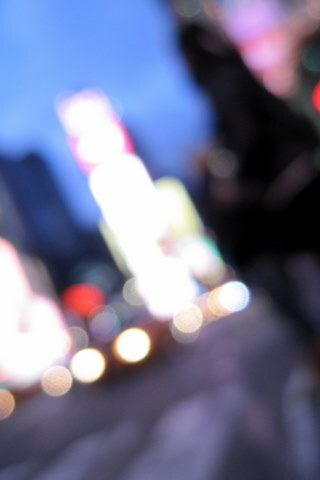 A few years ago, I was at Times Square in New York City in a cold winter night and took a few experimental photos of anonymous crowd silhouettes against the city lights. I liked the unexpected result. 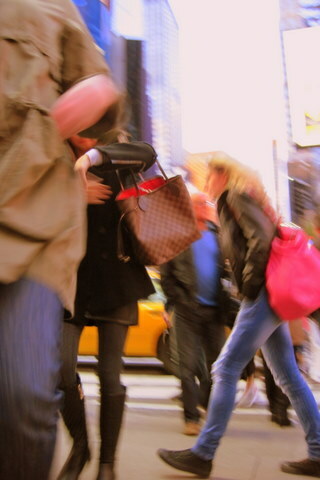 Then, just last month, I was back in New York for a Social Media conference and returned to Times Square to take new photos. 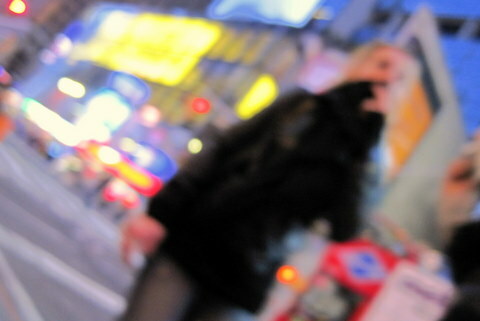 The technique I used was to shoot from a low-perspective with a compact camera and using the resulting blur to produce a dream or painting-like result. I do not use flash and do not look through the viewfinder (I am roughly pointing the camera to people from waist-level as I walk past them), so the shots are quasi-random. After these photos, I had dinner at Tout Va Bien on 51st St (Margaret’s recommendation). Service is wonderfully bad as it should be if you don’t speak French. But if you persist, you end up loving the place. If you ever go there, order the Coq au Vin and tell the owner you know Marcio from California and that I told you he would give you an extra carafe of house wine. You are guaranteed to get two free carafes. These first two shots are similar to the original ones I took several years ago. This is the effect that inspired me to explore the technique. The next two are my favorites of this batch. 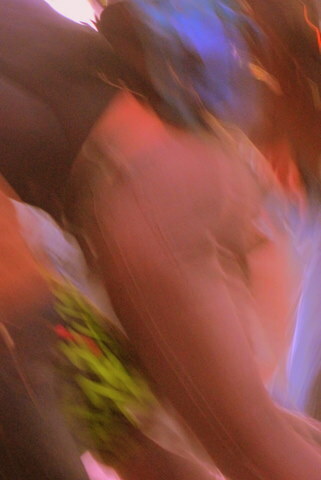 Both are blurred female bodies against the night lights and produced the painting-like effect I was looking for, making them almost abstract. The last two in this series are more literal. I like the hand-in-pocket pattern in the photo on the left. I have been to Mt. Shasta some 15 times and summited it 9 times (plus I’ve stopped right below the summit a couple of times for safety reasons). My first climb was in Sep 1994 and the most recent was in June 2016. I’ve led several groups with no climbing experience safely to the summit. 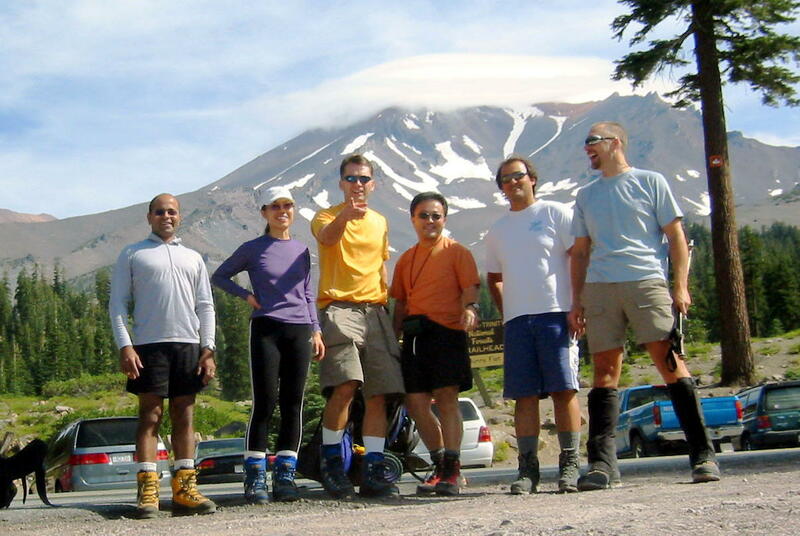 Shasta is home to most of my mountaineering experience, but I have hiked up Mt. Whitney (the highest point in the continental US) twice, Half Dome in Yosemite a dozen times, Mt. Lassen in California, Mt. Kinabalu in Borneo, Trails on the Swiss Alps near Interlaken and other smaller hills around the world. All information in this article is correct to my knowledge, but it is for you to use it at your own risk. If you are planning to go there and have questions, feel free to contact me by leaving a comment below. Mt. Shasta is a beautiful volcano in Northern California that rises to about 14,179 feet (4,322 m) and its summit is within a couple of hundred feet from Whitney, the highest in the continental US. It stands alone and more than 10,000 ft above the surrounding terrain, it is an amazing view. 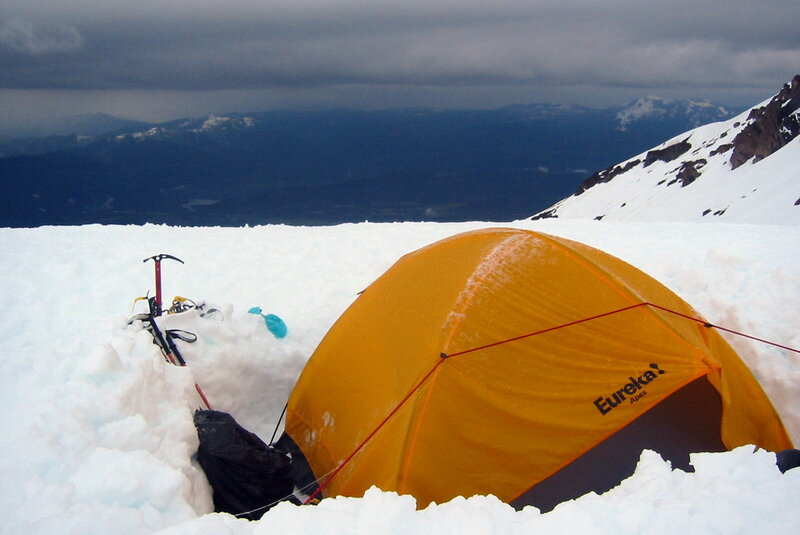 Climbing Shasta doesn’t require any more than being fit and some basic equipment, but it is not a casual project. One should not try to do it without a knowledgeable guide. Train by climbing a local hill with a 30 lb backpack for a few hours. If you wake up next day and feel nothing, you are ready. 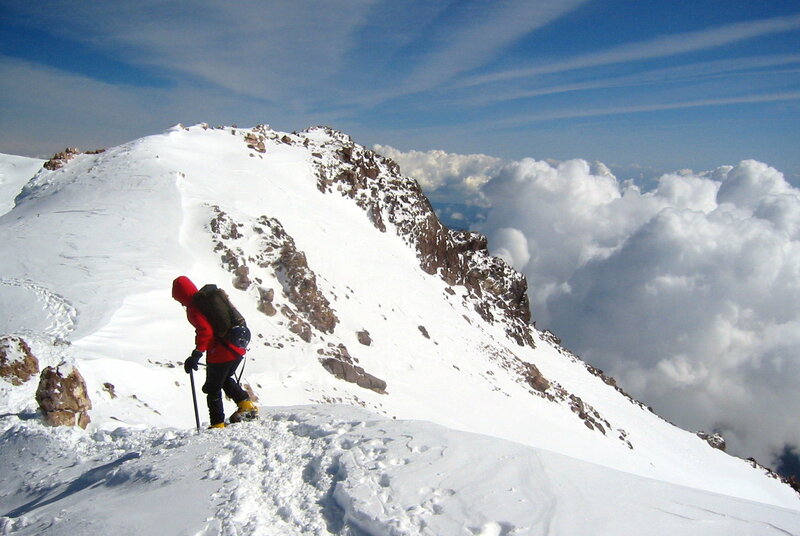 A typical first climb will take place during summer (best time ranges from late May to early August, depending on snowfall during the previous winter) and take 2-3 days. The easiest route is on the South slope of the mountain (Avalanche Gulch). Day 1: Drive to Mt. Shasta City, get a motel room and get a good night of sleep (alternative: drive to Bunny Flat, hike for about 1 hour and spend the night at Horse Camp). Day 2: Drive to Bunny Flat (about 8,000 ft). Get a self-issued permit, collect a few human waste kits, gear up and start climbing before mid-morning and set camp at Helen Lake (10,000 ft) by mid-afternoon. Study the route, melt snow, cook, and sleep early. Day 3: Start early (preferably by 4AM) while snow is still firm, make it to Red Banks before sunrise, and summit by mid-day. Turn back and glissade below Red Banks. You can either break camp and descend all the way or spend an extra night at Helen Lake. To climb Shasta, you need a guide who knows the mountain (or someone with a lot of mountaineering experience). Check weather forecast and climb only if there are no chances of storms. You must be fit and well prepared to climb. People die on the mountain, so do not be foolish. You will carry 4 liters of water (bottles can usually be filled at Horse Camp after Jun or so – 1 hour above Bunny Flats) and will need to collect, melt and purify snow at Lake Helen. There are several water purification methods, do some research. For North America, I carry a basic filter and then use chlorine tablets. There is about a 50-50 chance you will get Acute Mountain Sickness, usually starting around 12,000ft (Red Banks-Misery Hill). Never leave someone with AMS alone. If symptoms are any more than mild headache, turn back and descend safely. Stay hydrated. Here is a time-tested equipment list for a summer South Face Avalanche Gulch climb, think twice before leaving anything behind or bringing any additional item. Your pack will weight 40-45 lbs. 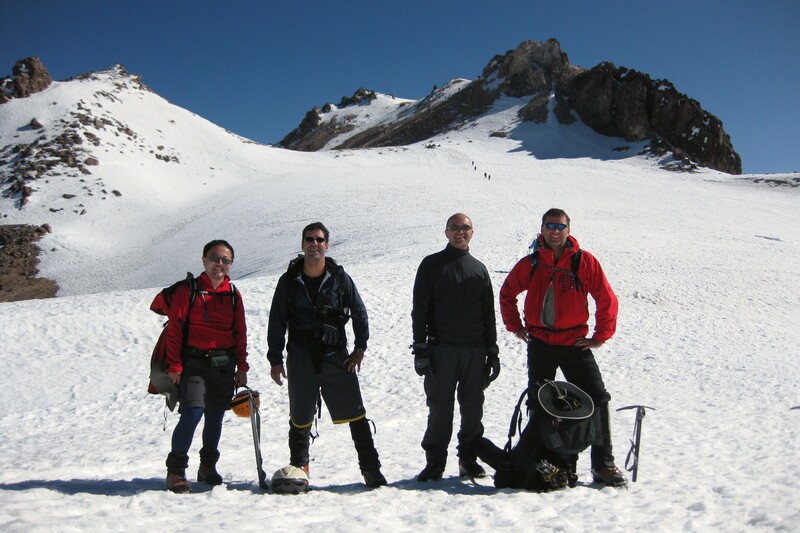 Gear will include mountaineering boots, crampons, ice axe, helmet, water purification and camping gear. June 2016 – Probably my last time leading an expedition – we were the only group on the mountain that evening and had the sunset at Lake Helen all for ourselves (the tent you see in the background is the ranger’s tent, but they weren’t there that night). Our tent (a North Face Himalayan Hotel), has been to Shasta circa 1994 and it is still going. Since I was a child, I have nurtured the thought of one day writing a book. With the emergence of the digital medium, I worry that books might not be a mainstream method of dissemination of ideas for too long, so there is some sense of urgency in fulfilling my dream. I am still going to write a proper book one day, but in the meantime I have joined John Lima, an old friend, and co-wrote a small booklet on the transition from a culture defined by the print medium to a future society primarily influenced by the digital medium. Since the time I got involved with the Free Software movement in the early 90’s I had thought about how community-based work can be powerful if we let people collaborate freely. John introduced me to Marshall McLuhan, whose work provided the analytical framework for our text. It is ironic to have a booklet that talks about the end of the print medium available in printed paper format, but we wrote it for old-fashioned people. If you select the “Social Media” category in this site, you can check my ideas on the subject. The Click Company was sponsored by and is Copyright (c) Coffee Bean Technology, the company I work for. 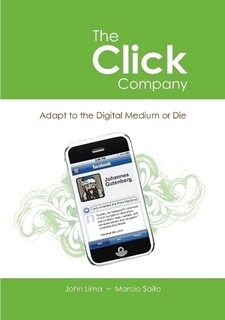 The interactive version of the book is in The Click Company Community. If you would like to check the booklet, it is freely available online and you can even order printed copies here. 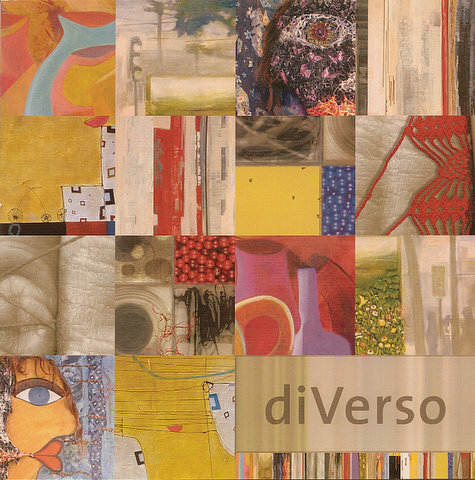 DiVerso was a an exhibition of Brazilian contemporary artists organized by the Consulate General of Brazil to celebrate the opening of new premises in San Francisco. It run from Nov/2009 to the first quarter of 2010 and featured works by Aparecida Abdalla, Vera Costa, Sidnea D’Amico, Mauricia Gandara, Silvia Poloto, Regis Silva, and Mariangela Smania. My friend Mariangela Smania is an artist born in Rio De Janeiro. I collaborated with her in “Enlightenment”, the mixed media piece she displayed at DiVerso. My task was to help to conceive the installation and then design and build the box that creates the light effects and supports the fiberglass panel. In this piece, Mariangela Smania combines unlikely medium components to create a work that is both minimalistic and complex. She lets the medium carry the message and leaves space for us to interact with it and get to our own conclusions. Using its own light source, Enlightnement is not a work of art passively waiting to be observed and interpreted. It grabs and brings us in to imprint its effects on the observer. 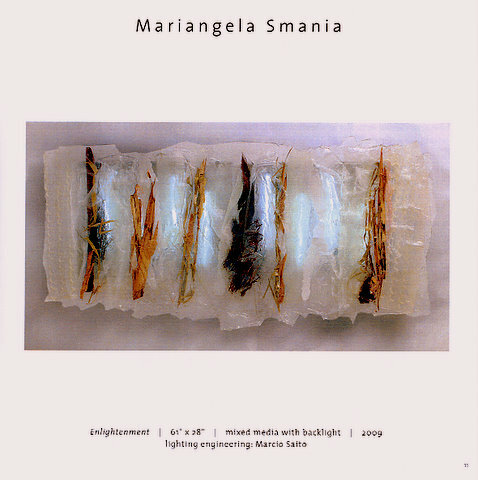 While using new experimental medium, in this work Mariangela brings her signature element from her previous work: pieces of tree bark and natural fibers, creating layers of texture and representing moments and experiences in our lives. The combination of light, water and life is full of energy and impetus, but also surprising peace and balance. On a different dimension, the juxtaposition and harmonious integration of electronics, resin medium, and organic bark elements seems to suggest our minds of the need to create space for nature in the synthetic environment we live in. This is my personal site. My interests include Literature, Social Media, Outdoors, Travel, Entrepreneurship, International Perspective, The Arts, Wine. How to think about my startup valuation? Beer Tasting: A Visit To An English Pub. Enter your address to subscribe to my thoughts by e-mail.